Now you can decorate your new home with customized art from GeeZees. With a ton of options and selections, you can easily create something super unique just for you. You can simply use words with their elite canvas word art, a personalized keepsake with your phrases, dates and words. 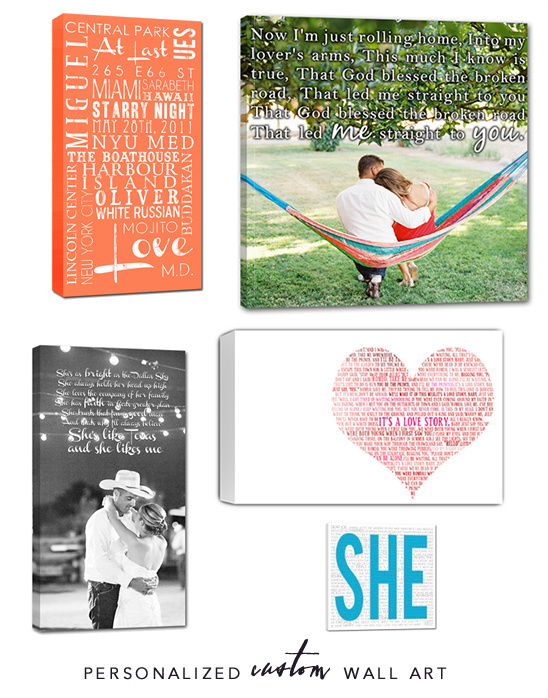 Another great option is their canvas word art, by using your engagement photo or wedding photo. These also make that perfect gift for anyone in your life. Besides all the fabulous word art that GeeZees offers they are also offering customized pillows. 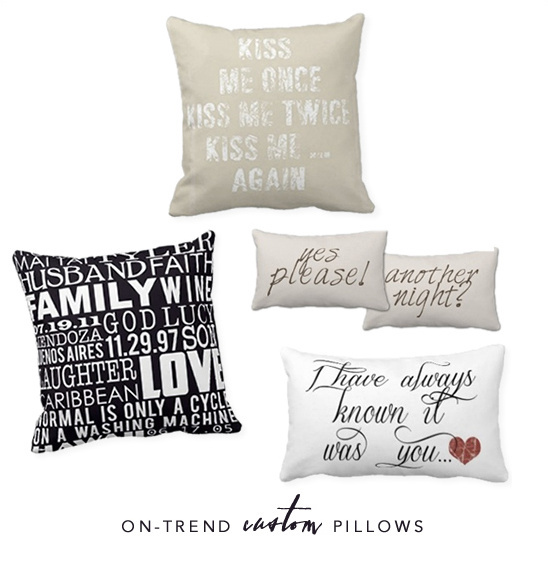 You’ll want to display this darling pillows after your wedding or customize them as a gift to your bridesmaids. Until Sunday at midnight you can save 10% on orders over $50. At checkout enter GeezeesChicks10 to save on something custom for someone special.